New Night & Morning Operations. Return To The Way It Was. 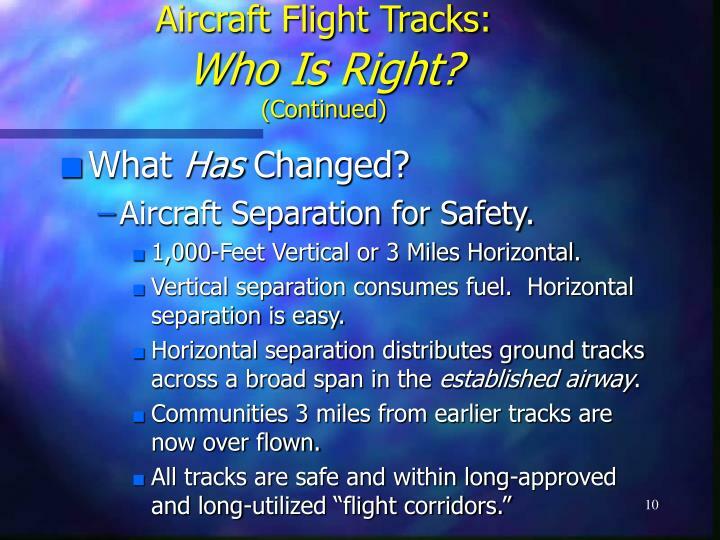 Same “Flight Corridors” Are In Use. No Altitude Exceptions Have Been Approved. 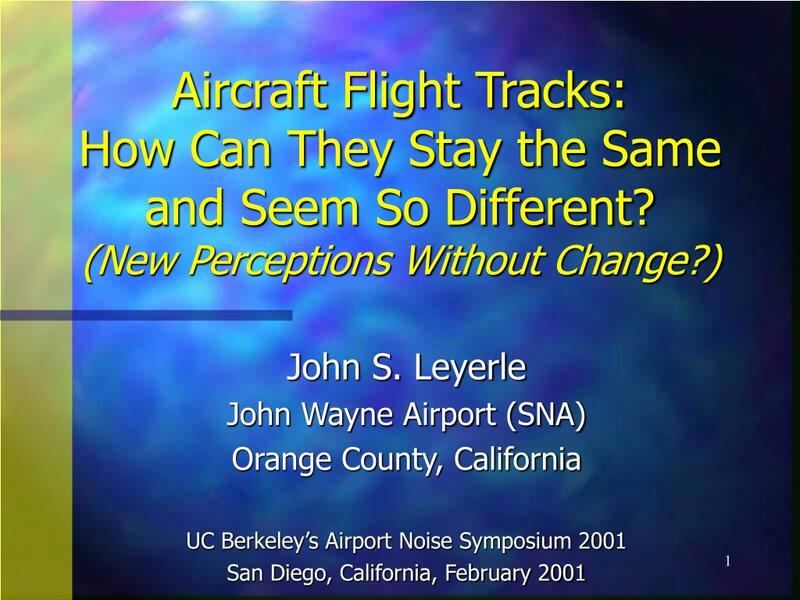 How can we “switch back” what hasn’t changed? 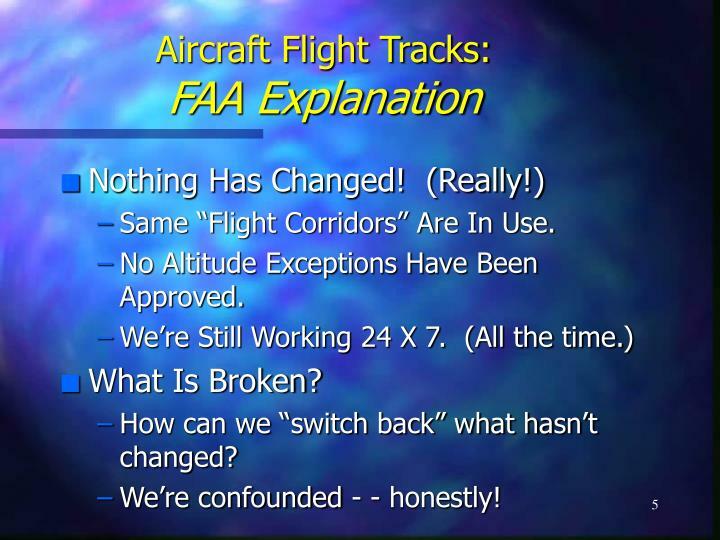 We’re confounded - - honestly! 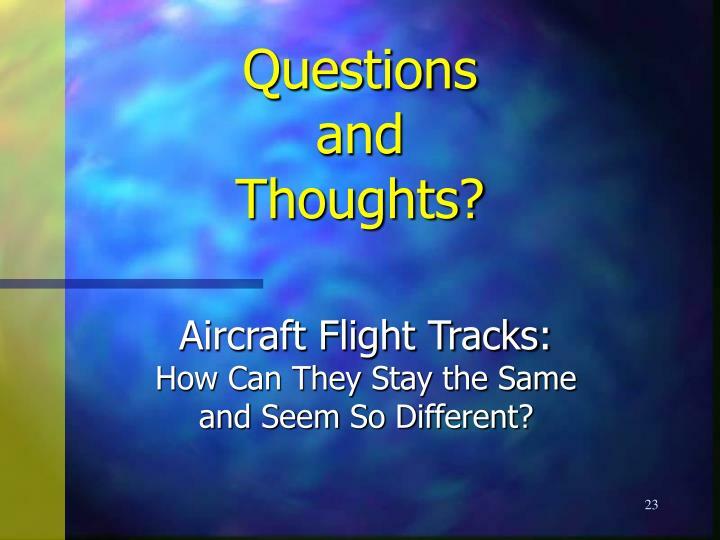 Aircraft Flight Tracks:Who Is Right? 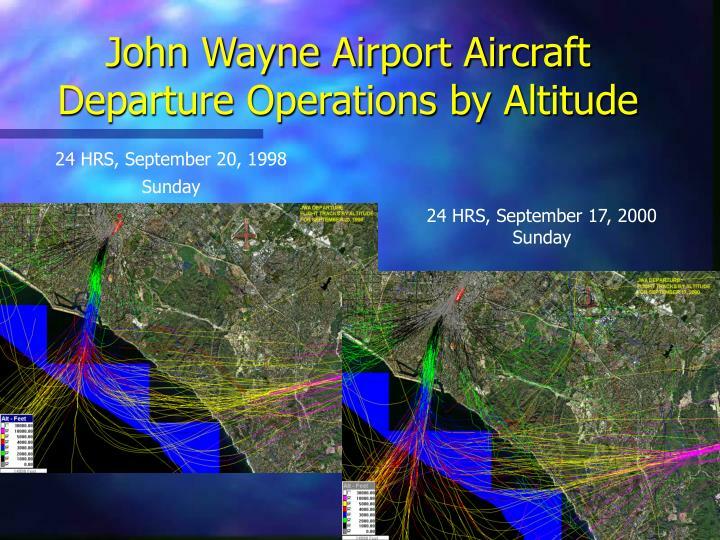 More aircraft are in the airspace. 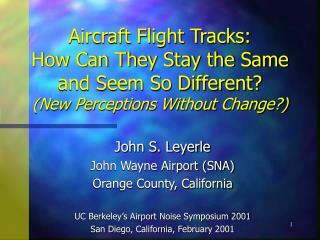 2% or more passenger growth each year. 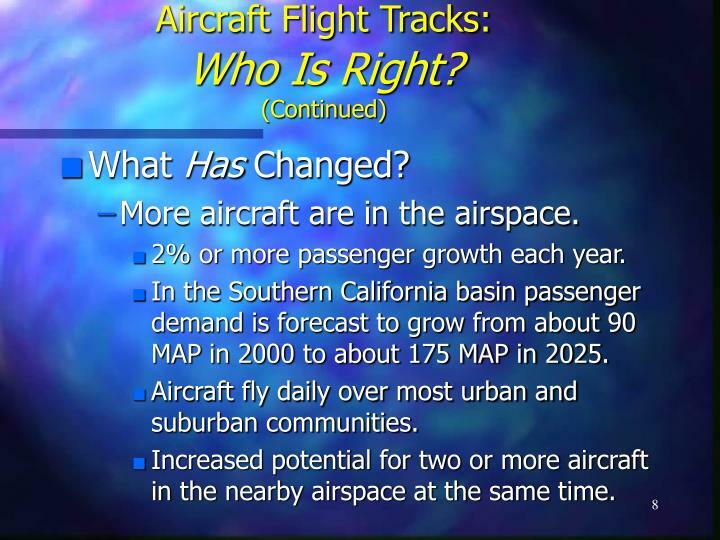 In the Southern California basin passenger demand is forecast to grow from about 90 MAP in 2000 to about 175 MAP in 2025. 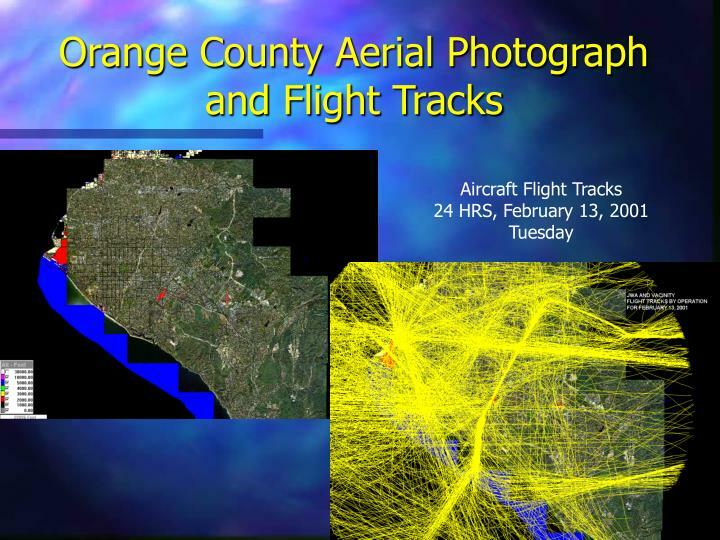 Aircraft fly daily over most urban and suburban communities. 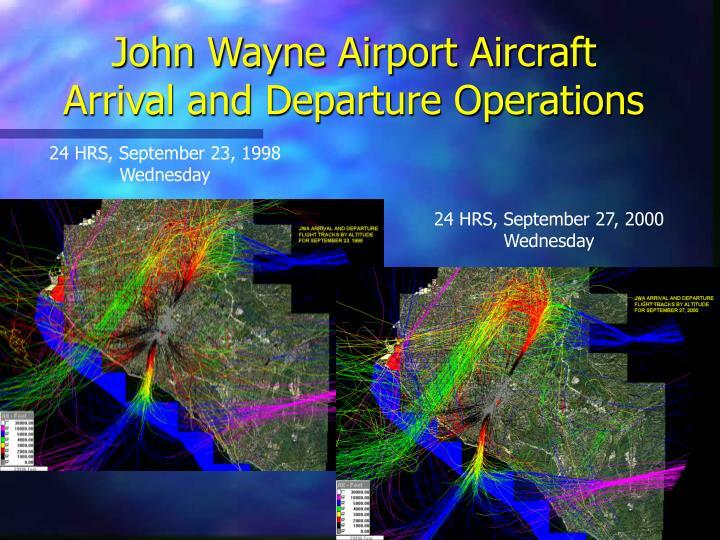 Increased potential for two or more aircraft in the nearby airspace at the same time. 1,000-Feet Vertical or 3 Miles Horizontal. Vertical separation consumes fuel. Horizontal separation is easy. 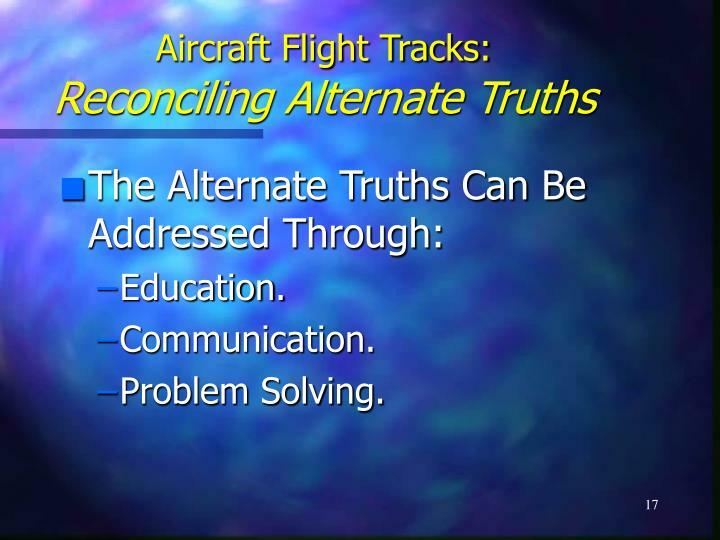 Horizontal separation distributes ground tracks across a broad span in the established airway. 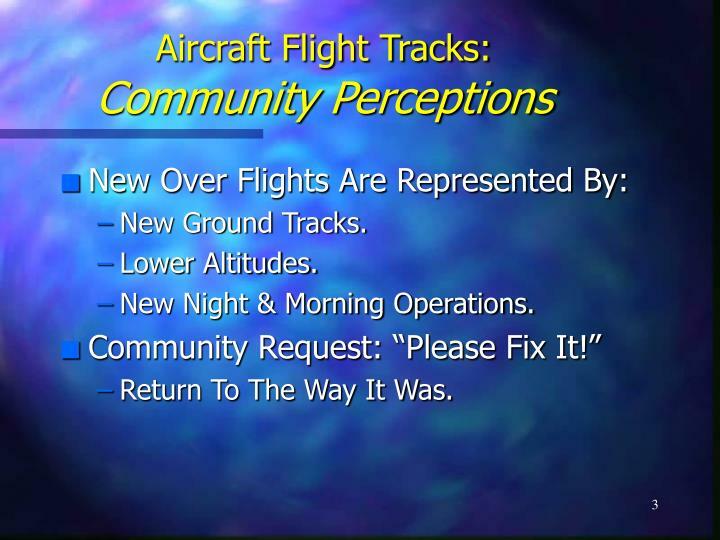 Communities 3 miles from earlier tracks are now over flown. 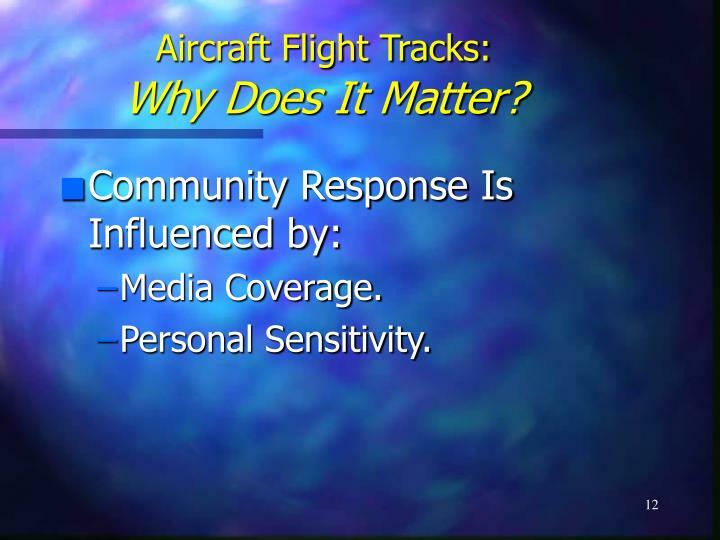 Aircraft Flight Tracks:Why Does It Matter? 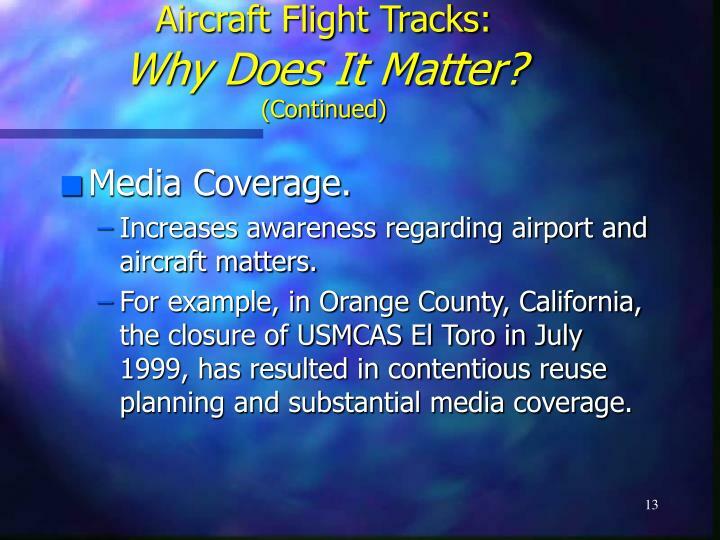 Increases awareness regarding airport and aircraft matters. 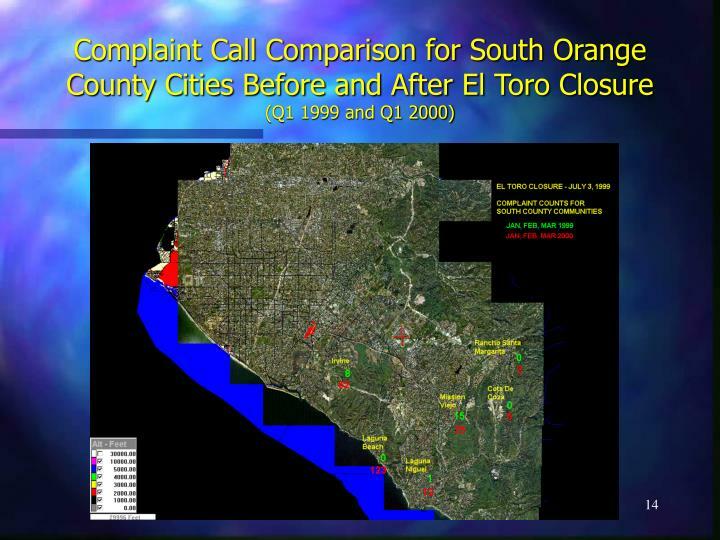 For example, in Orange County, California, the closure of USMCAS El Toro in July 1999, has resulted in contentious reuse planning and substantial media coverage. 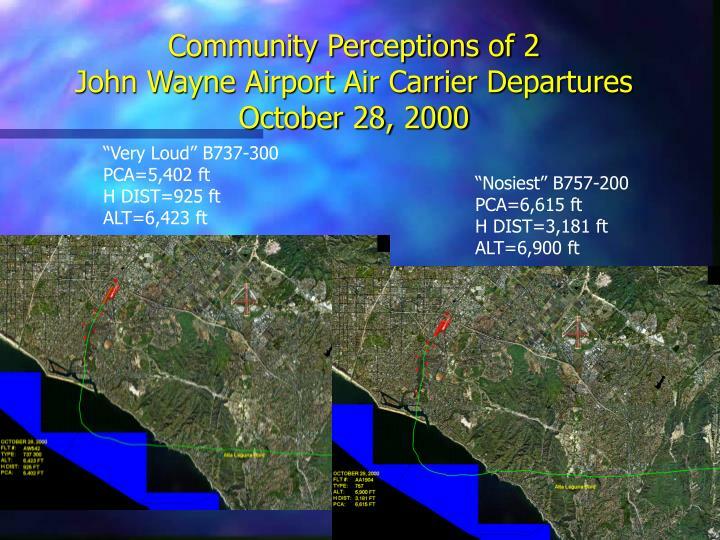 Suspicion: Over flights are planned to acclimate the community to a new airport. 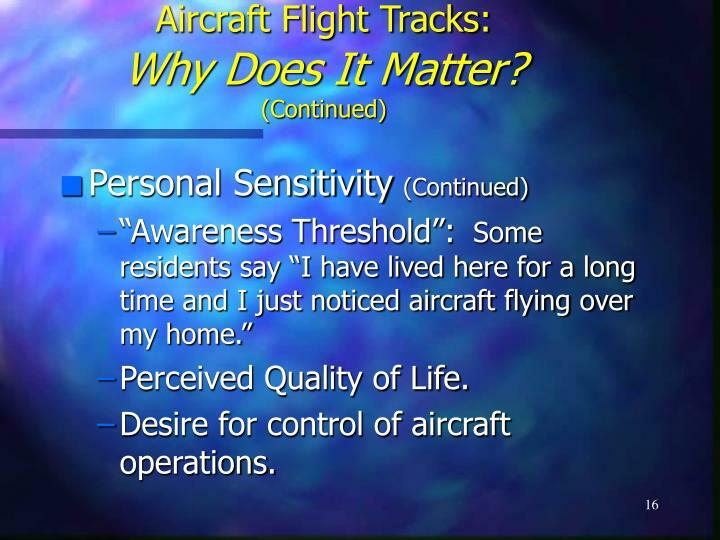 Desire for control of aircraft operations. 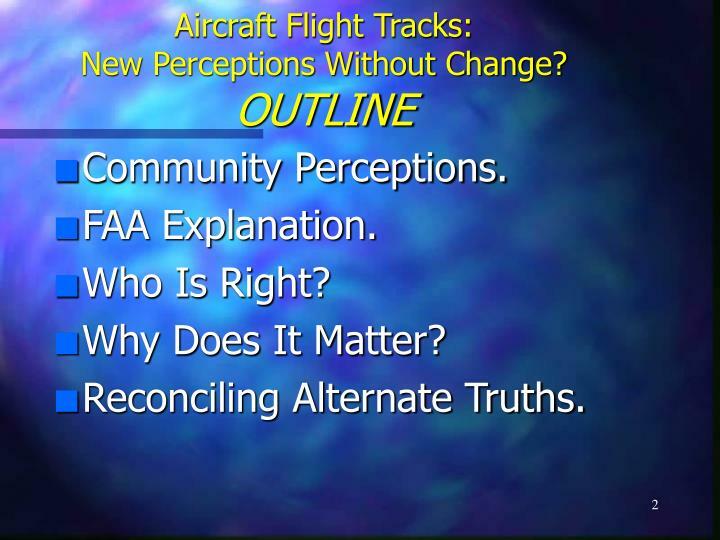 Explain changes in number of aircraft operations. 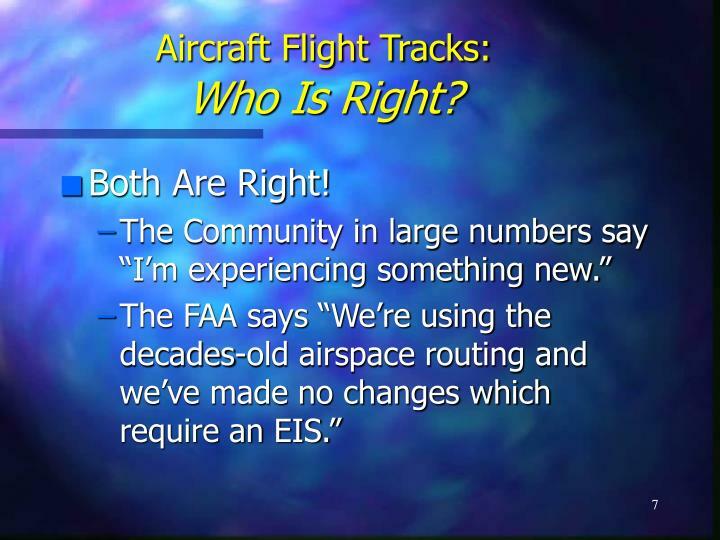 Compare current & past flights. 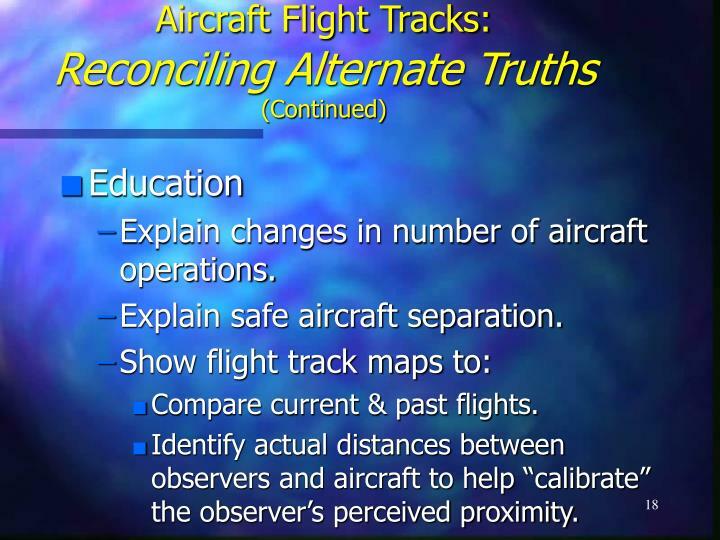 Identify actual distances between observers and aircraft to help “calibrate” the observer’s perceived proximity. 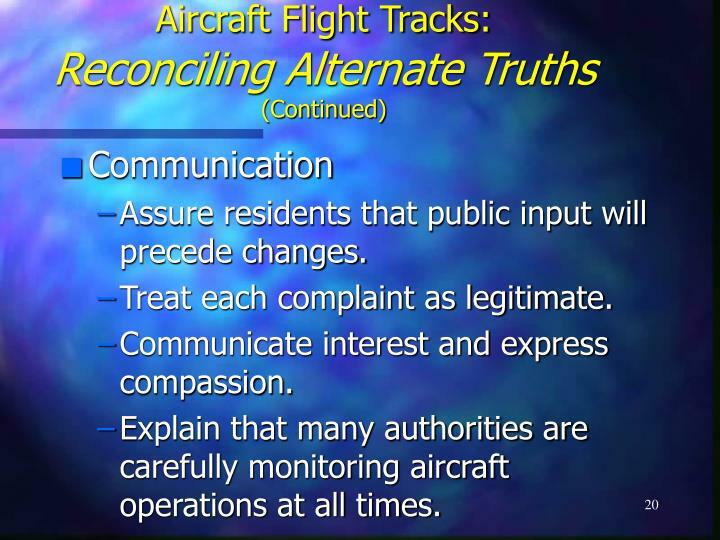 Assure residents that public input will precede changes. Treat each complaint as legitimate. Communicate interest and express compassion. 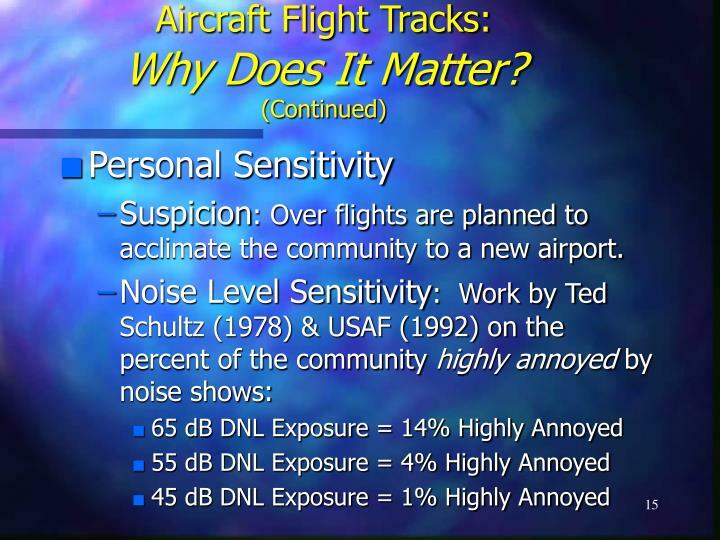 Explain that many authorities are carefully monitoring aircraft operations at all times. 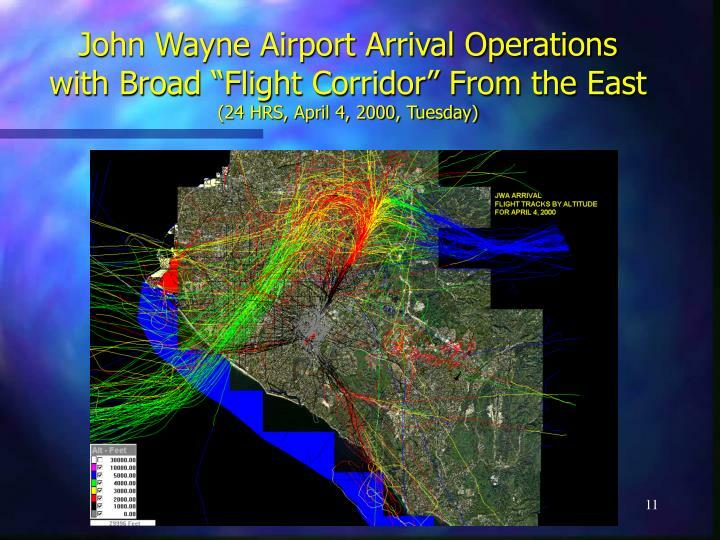 Explore the potential for new “flight corridors” to reduce impact without shifting exposure to other communities. 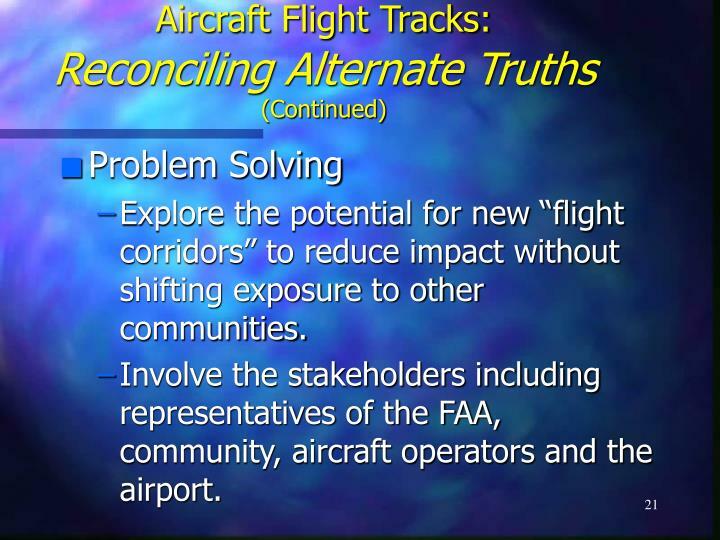 Involve the stakeholders including representatives of the FAA, community, aircraft operators and the airport. 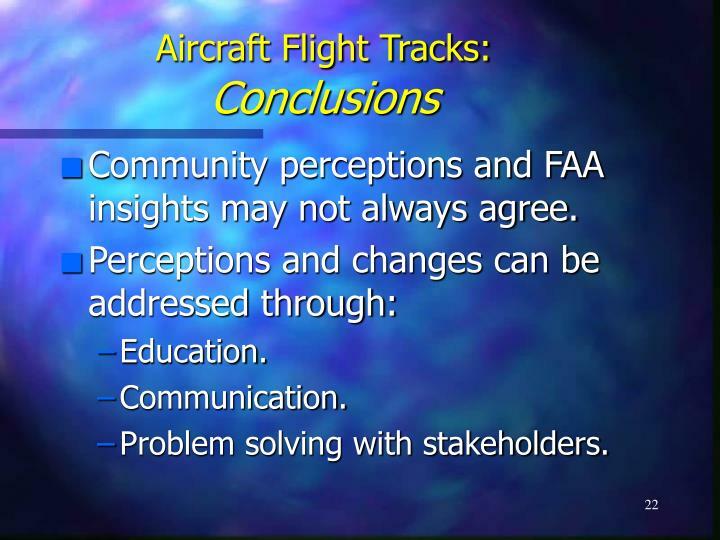 Community perceptions and FAA insights may not always agree. Aircraft Flight Tracks:How Can They Stay the Same and Seem So Different?